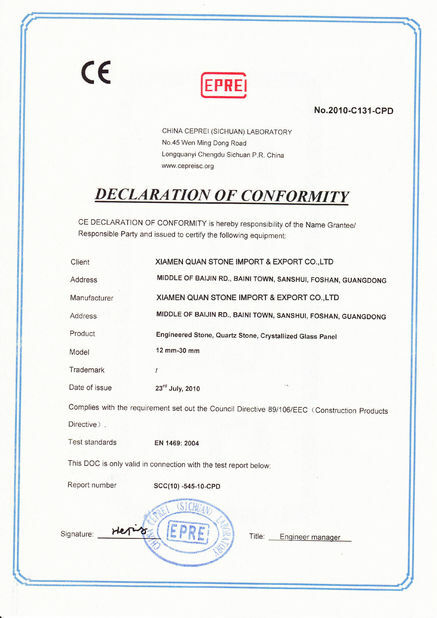 Factory Tour - Xiamen Quan Stone Import & Export Co., Ltd. 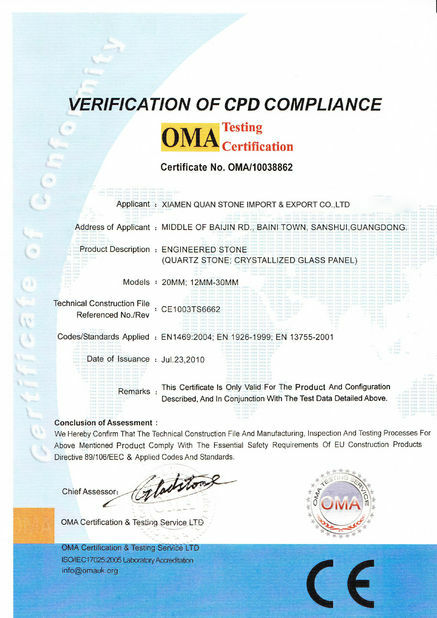 Clever as you are, you must know that there are many countertop suppliers in China. But do you know most of them hire unskilled laborers to ruthlessly slash their costs, which makes the products failed. When you need to get new countertops replacement no matter for kitchen or vanity, you will take color, size, material, etc, into consideration. Besides, factory experience counts. Because experience with stone surface countertops can help saving your time and money. 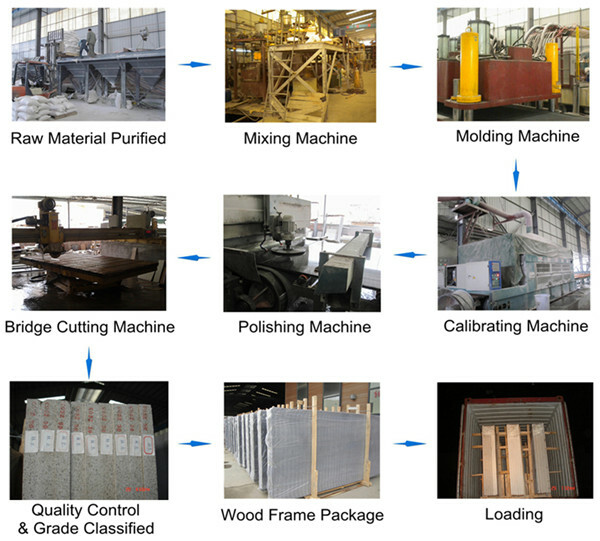 As we noticed so many times that there are many processes to make the countertops fabricated. Untrained employees will ignore defects on the countertop and keep doing. They haven't seen the problem before and that's why they wing it, which will make big problems for the countertops surface. There is a story highlighting my point. One day, my friend Bobby called me that there was a big problem for his kitchen countertops, and he hoped to got help from us. Arriving his house, we found the problem at once. The thickness for countertop was not same for the whole item. The middle part was higher than both sides. So everything on it became inclined. He got the countertops directly from a near stone factory. But They were not willing to take any responsibilities for it. So he turned to me for help. I went together with him to the natural stone factory. And they told us that the countertop was processed by a new worker and he should take charge of it. But the newbie could not sove the problem. He insited that he checked the side thickenss, so he was right. While the factory refused to make compensation. Things got into a vicious circle. And problems were still there. At the end of his rope, finally he asked me to make a new surface countertops for his kitchen, even the total costs was higher than before, and it took some days for producing and delivery. Checking the size and shape in person, I asked design engineer to make the drawing and confirmed it with Bobby again. 6 days later, he got our items and made replacement. The problem could have been avoided with an correct processing. But it happened because of the lack of experience. Not only did it charge higher and extra cost, but also it took big trouble. Practical wisdom is only to be learned in the school of experience. Maybe you mainly trust your wallet to anyone. Contact Quan Stone now. You will be surprised by what we do for you. We promise that you will love your kitchen and bathroom, but not just like it.